Due to a love of a night out, the Milford Festival is putting on a few special events in the next couple of months to help to make this already fabulous village a tiny bit more brilliant. 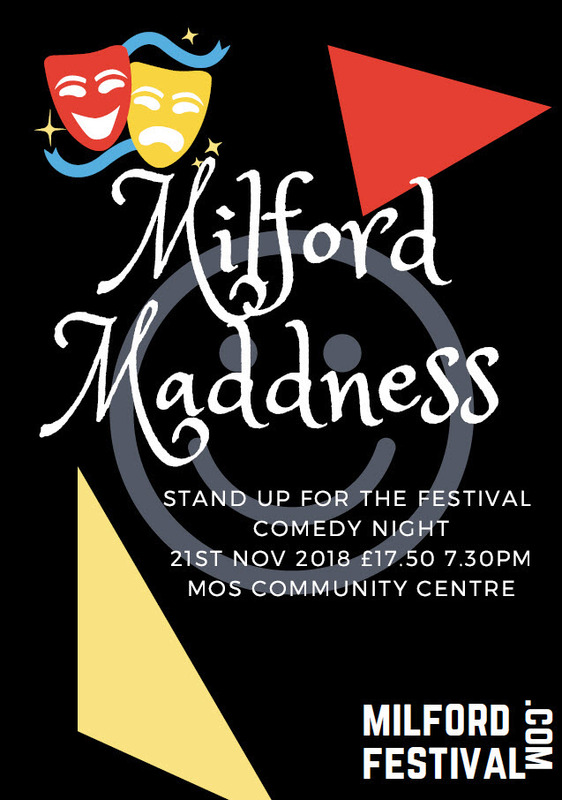 Starting with another comedy night on the 21st of Nov 2018 which will feature all new stand up acts. 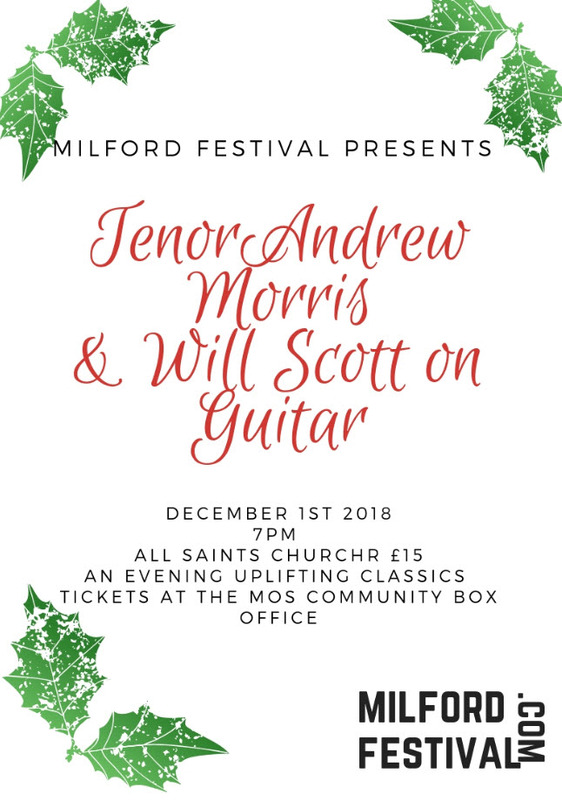 Then, on the 1st Dec 2018 they will have a wonderful Tenor Andrew Morris and guitarist Will Scott who will light up the All Saints Church with a wonderful set of classics and some truly moving less known gems. You can book tickets today via the Milford on Sea Community Centre Box Office.